Mosaic forms: turquoise with red stone and marine shell. Specimens from Homol’ovi I (a), Nuvakwewtaqa/Chavez Pass (b, [from Fewkes 1904:Plate 34]), and Kinishba (c). These and similar items are blatant symbolic references to moisture. Turquoise is synonymous with the U.S. Southwest, occurring naturally in relative abundance and culturally prized for millennia. As color and material, turquoise is fundamental to the worldviews of numerous indigenous groups of the region, with notable links to moisture, sky, and personal and familial vitality. For Pueblo groups in particular, turquoise and other blue-green minerals hold a prominent place in myth, ritual, aesthetics, and cosmology. They continue to be used as important offerings, deposited in shrines and decorating objects like prayer-sticks, fetishes, and adornments. Archaeological occurrences of turquoise in contexts such as caches, structural foundations, and burials demonstrate its important, perhaps ritually oriented role in prehispanic Pueblo practices. This presentation addresses the myriad uses of turquoise and other blue-green minerals in the late prehispanic Western Pueblo region of the U.S. Southwest (northeastern Arizona and western New Mexico, a.d. 1275–1400). 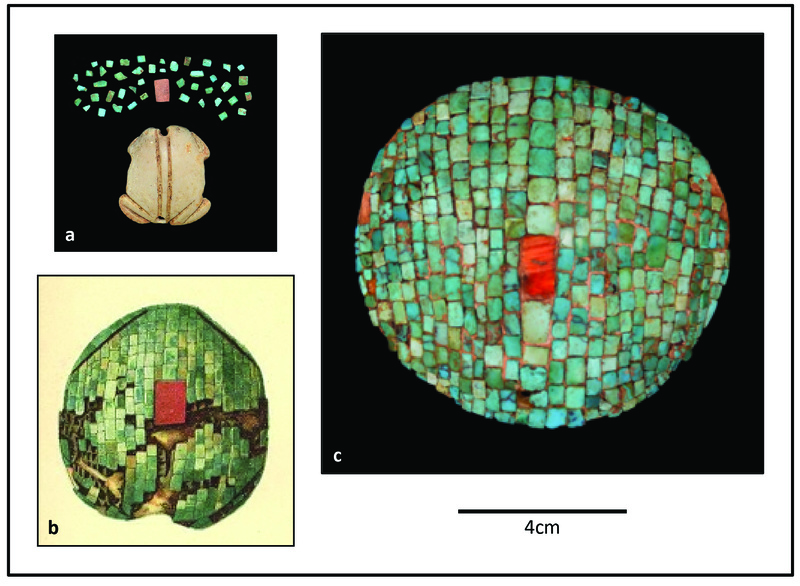 Multidisciplinary research, including archaeology, geochemistry, and ethnography inform upon the role of turquoise in ancient social identification. I will outline stylistic variation in ornaments and painted items, patterns of placement in archaeological deposits (ritual offerings, for example), and regional patterns of mineral acquisition and exchange. I will be joined by Mr. Stewart B. Koyiyumptewa (Hopi Tribe) and Mr. Octavius Seowtewa (Pueblo of Zuni) to discuss contemporary Pueblo sentiments regarding turquoise, and how modern uses compare to, and in many cases clarify, archaeological patterns.